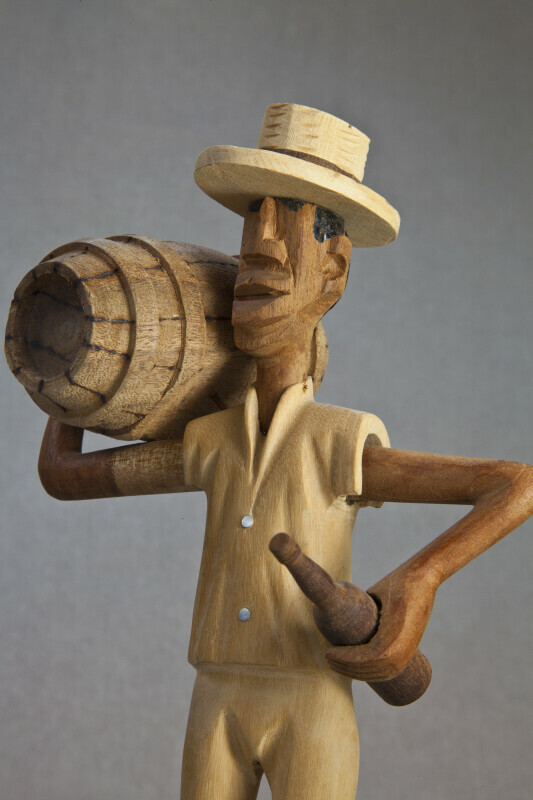 Hand carved man from the Bahamas. He is made entirely from wood. A light wood is used for his hat, shirt and pants, and a darker wood is used for his arms, face, and boots. The doll's arms are removable. One arm is bent to hold a large keg of rum; the other hand is holding a bottle of rum. The keg says "Bahamas Club." The figure is 10 inches (25 cm) tall.